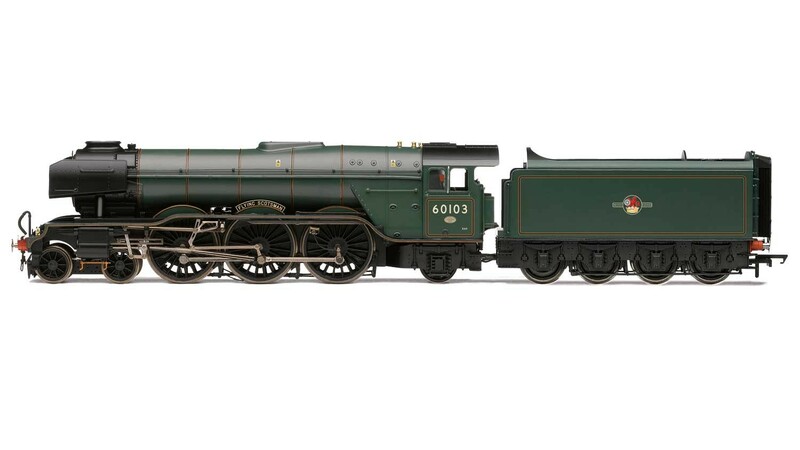 Hornby NRM BR 4-6-2 'Flying Scotsman' 60103 A3 Class, in Brunswick Green livery. Livery: BR Lined Green, Class: A3, Wheel configuration: 4-6-2. Now fully restored after years of restoration, and resplendent in its final British Railways livery of Brunswick Green and numbered as 60103, Flying Scotsman will return to steam in 2016.